Great dealership everyone had great customer service and helped me out get a nice car I love. Quentin was a great help and very nice thank you guys so much! We just leased a car here for the first time. Everyone was great and the atmosphere was very relaxed. We dealt with Raul as our salesperson - he didn't waste anyone's time by trying to convince us to pay more than we could afford. The numbers were on our side. We met with Darius to do all the paperwork and he was so nice!! I came away feeling that he was "good people" 🙂 and I would like to keep giving them our business in the future. Bonus points for a really nice waiting area (Starbucks coffee!) And for letting us bring our companion animal in without any fuss. I am knocking one star because everything just took a long, loooong time to get done. Received the call on Friday April 5th from the GM Anthony, asking me if I had ever gotten a call back for my warranty question. The answer was no after being disappointed in not getting a call back I figured I'd take my business elsewhere. But I'm v when I received the call from Anthony he was able to get my questions answered and even getting in on Saturday for service. From the moment that I want in to the Kia dealer I was treated like royalty. Signing off from Teresa and service who took very good care of me. Excuse me as I am very bad with names but Anthony introduced me to another individual never leave his name is damn who then introduced me to the 19 year old as he calls himself just see if there's any way of trying to get my payments lowered all of this is happening while my car is being serviced. The place itself is immaculate, clean, and everyone is so polite. 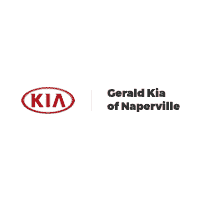 I would definitely recommend Gerald Kia to anybody. as a matter of fact within a few months I'm going back to see if at that point I qualify to switch my car in for another car I think I want to join the Kia family. Excellent service and caring sales person Adrian. Treated me great and handled my needs like a true professional. Clean showroom and service area. Impressed! Delivered my new vehicle to full satisfaction. Me and my dad started my car search by going to Gerald Hyundai of north aurora looking for a specific car that I found online and I had other back up cars if I couldn’t get the one, so I contacted them and confirmed the car was there when I got there I found out that it wasn’t there the dealer then sent me to this dealership where I met quentin, who after a little bit of research found out it had been sold the day before. He and Gino then helped find me a car that was just in my budget with low miles. He and Gino were both VERY patient with me and my dad because we kept pestering them with questions and they both were honest about the details of the car and the price. Yasser was also very patient with us.